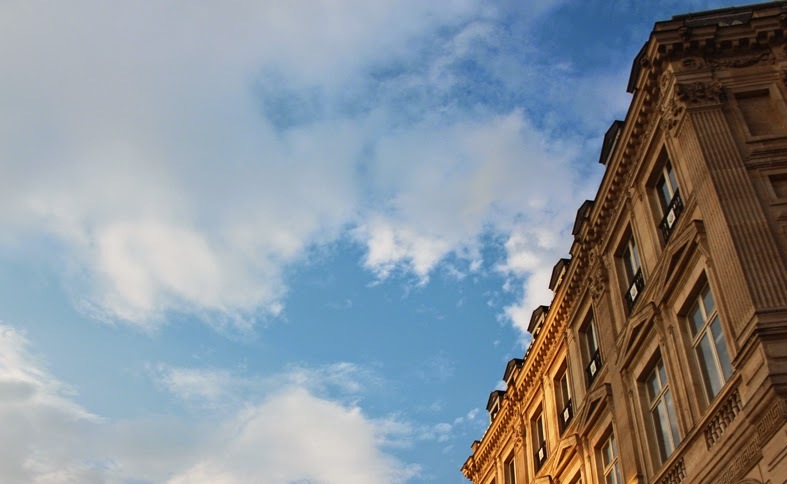 If you've followed our footsteps all the way to the Louvre, you might have realized the amazing (but not very wise) amount of distance covered. We skipped going to Jardin des Tuileries, which would be a wiser choice retrospectively as it is only next to the Louvre, but we had enough of gardens for the day. 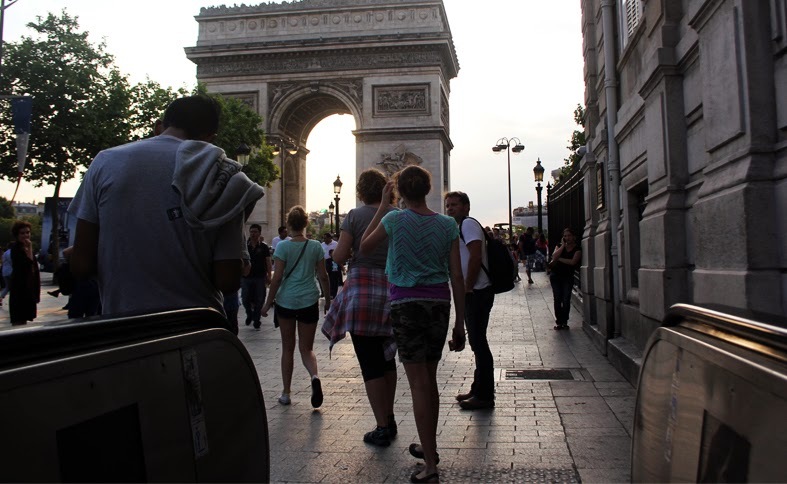 We reached Champ Elysees/ Arc de Triomphe slightly past seven when the sun was setting and the shops were already closed. They close pretty early at around five. You would probably be able to make it if you were to take the metro line all the way. Oh well, traveling is not without some mistakes here and there! But oh boy, the Arc de Triomphe turns out to be my favourite attraction of the day because it is very, very grand. Please go and visit this! 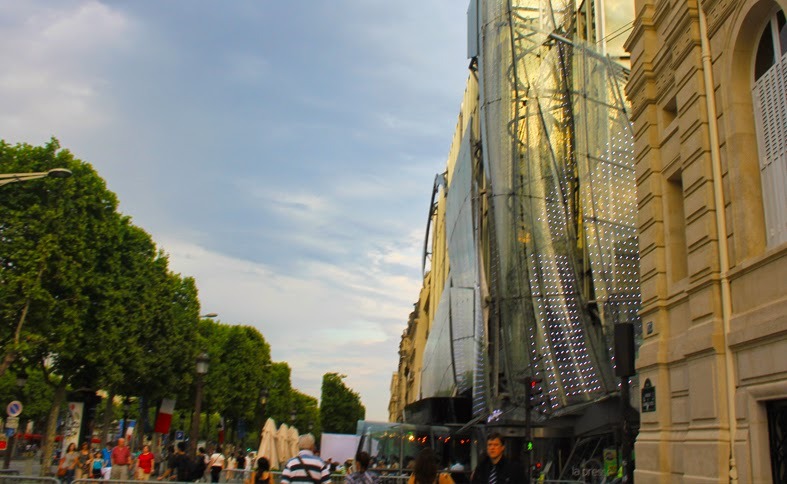 Want an alternative one day itinerary in Paris? Napoleon I had an ambition to make the capital of his empire the most beautiful city in the world. In 1806, he made plans for “a column dedicated to the glory of the Grand Armee” (current: Place Vendome column) were confirmed and launched an Imperial decree authorized the completion of the Pantheon and the “erection of a triumphal arch at the entry to the boulevard by the site of the former Bastille prison that upon entering the Saint-Antoine district. 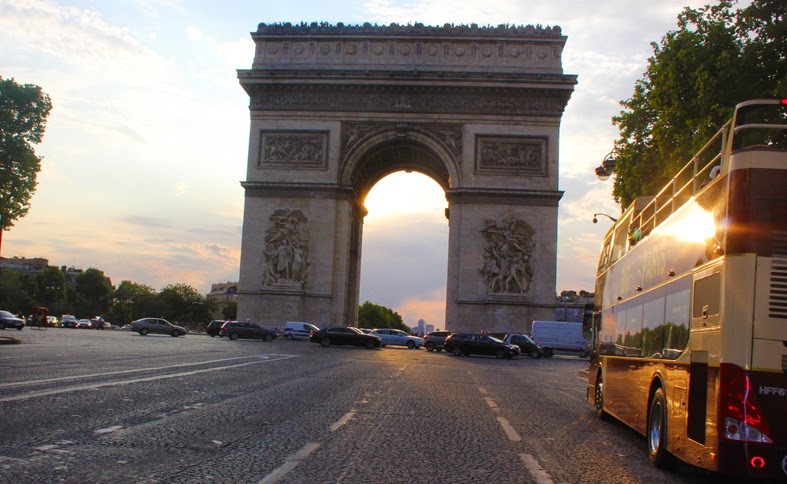 The Arc De Triomphe would be a “triumphal arch” under which the winners will pass. 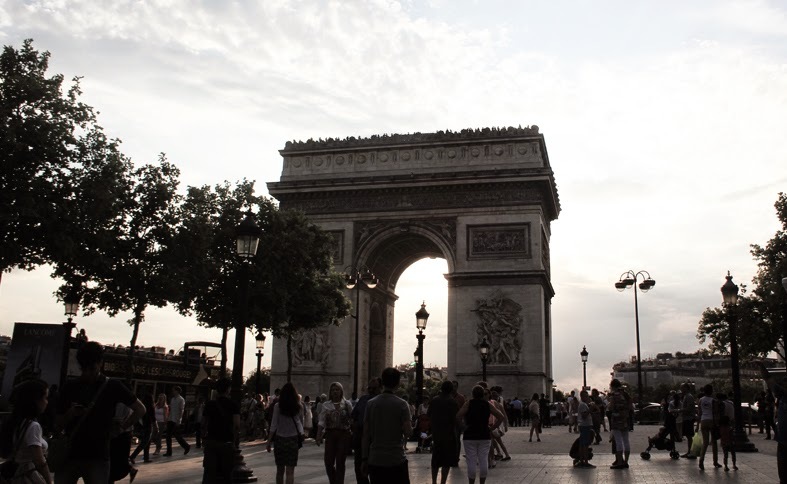 This triumphal arch is in honor of those who fought for France, in particular, those who fought during the Napoleonic Wars. Many famous victory marches have led past the Arc de Triomphe including the Germans in 1871, the French in 1918, the Germans again in 1940 and the French and the Allies in 1944 and 1945. Although it was commissioned in 1806 by Napoleon to commemorate his imperial victories, the Arc de Triomphe remained unfinished when he started losing his first battles and wars. It was finally completed under Louis Philippe in 1836. 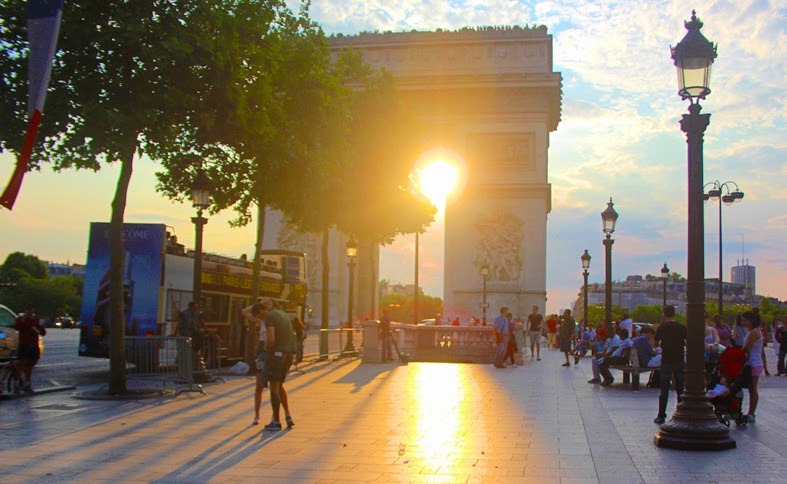 - Best times to visit: Jul 14 - Bastille Day where you get to enjoy colourful parades, however the Arc is closed. - The top can only be reached by climbing up its 40 stairs. 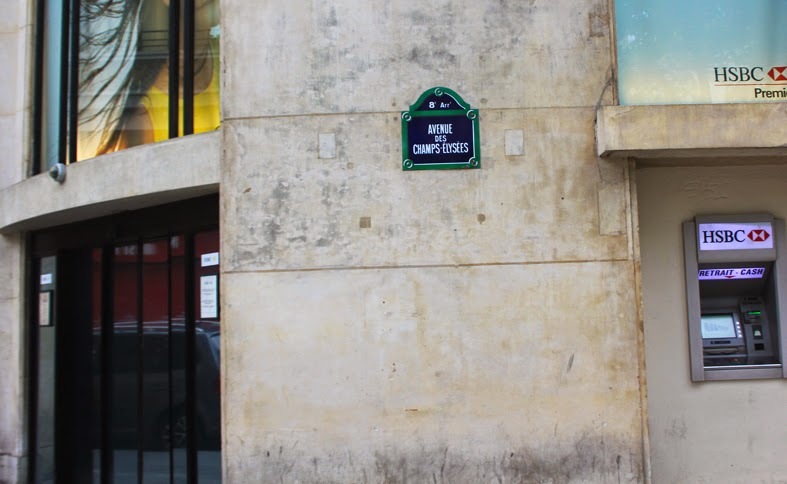 But before you get to the stairs, you have to get to the monument itself through an underground tunnel on the Avenue de la Grande Armee side of the circle. You can access this tunnel from the Wagram exit of the Metro. Do not try to cross the traffic circle. 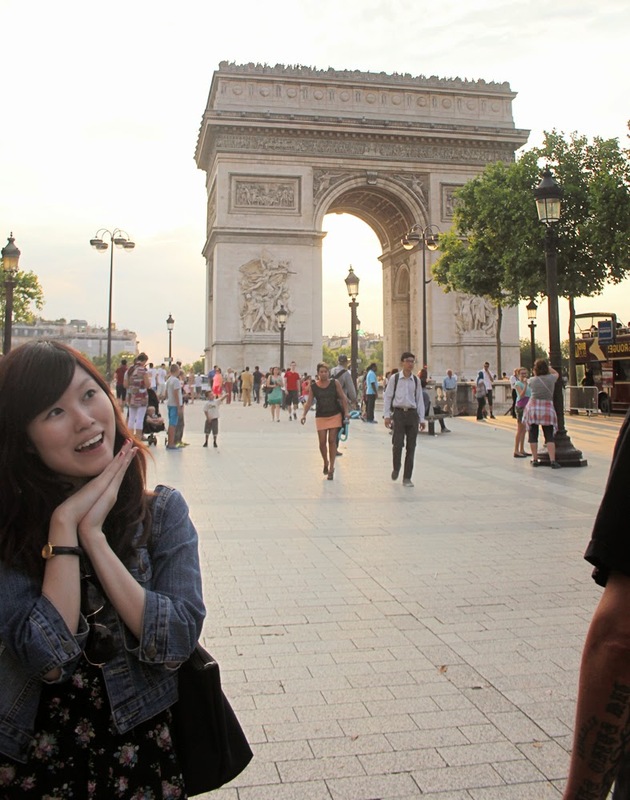 It sure doesn't look like it, but ... this photo opportunity with the Arc de Triomphe arose from madness. I felt like I'm doing a handstand in the middle of a highway with lots of speeding cars all around. Let me try to describe the scenario: there is a huge crowd in the extremely tiny safety island - I can't remember if there was a raised kerb - trying to establish some kind of a queue to take a photo with the Arc. If you don't want to stand there and try not to get killed from spilling out from the jostling crowd, you have to throw away all polite tourist etiquette, fight for the chance, and get the hell out. Anyway, we did it! I'm not sure if there's any better/ quieter time to do so, though I'm guessing nobody will be here in the early hours of the morning. I Blog My Way Facebook Page! !